Newer: » Costa Maya Festival Presents: Miss Nicaragua!! Daniel Estell is a 7 month old boy who is in desperate need of a liver transplant. Born in Belize Daniel is now at Children's Hospital in Los Angeles. It is the hope that sufficient funds can be raised to make this life saving transplant possible. 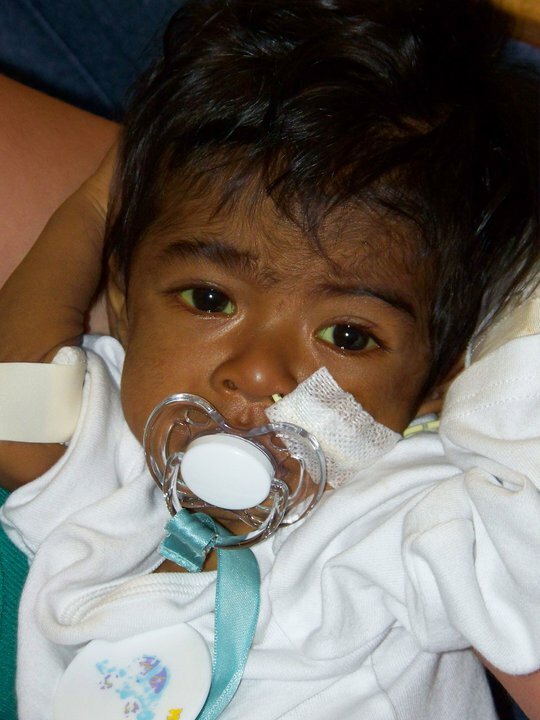 Baby Daniel suffers from a rare liver disease ‘Biliary Atresia’. Biliary atresia is a blockage in the tubes (ducts) that carry a liquid called bile from the liver to the gallbladder. The condition is congenital, which means it is present from birth. The only 2 treatments for this disease are the ‘Kasai Procedure’ which baby Daniel has gone through already and secondly a liver transplant, which baby Daniel is in dire need in this present time. Nobody really knows what is the actual cause for Biliary Atresia the only thing we know is it can be treated. The encouraging news is that most of the babies who are treated in time grow up and live normal lives. Presently in Los Angles, California, baby Daniel is being treated at Children's Hospital Los Angeles. He is in a stable condition but just for a short period of time, due to his chronic and progressive liver disease. He will need a liver transplant within the next few months. Time is very critical in his life.